In 1964, with television, space travel, and supersonic speed, all utopian dreams had actually come true—this observation made Adorno conclude: “One could perhaps say in general that the fulfillment of utopia consists largely only in a repetition of the continually same ‘today.’” To which Ernst Bloch, the author of ‚The Principle of Hope’ immediately replied: “I believe utopia cannot be removed from the world in spite of everything..“ He would argue that utopian thinking allows us to observe the current state of things from the distance that makes critique and thinking about alternative futures possible. 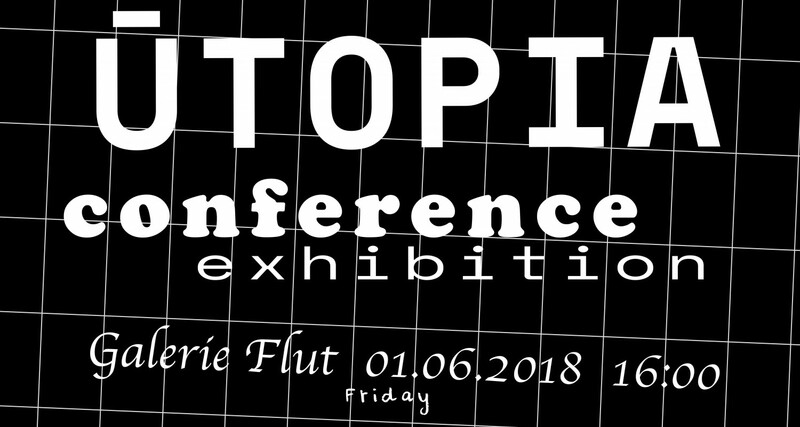 Today, utopia is relevant and necessary; we recognized it, not as a goal, but as a critical instrument for exposing the limitations of current discourses on technological, economical, political and social developments. We discussed and reacted to the works of artists and architects from the sixties and seventies, who have produced utopian projects as critical reflections on crucial themes of their time. The class took place in English and/or German and is connected to the OUTNOW! UTOPIA project. Students from all areas and levels —Fine Arts, Integrated Design, Digital Media, and Music— were invited to contribute. For the Performing Arts Festival OUTNOW! a project by the Schwankhalle  and Theater Bremen , we are invited to contribute with interventions in public space, on the route between Schwankhalle and Theater Bremen. The class will not only develop research about the urban practices in the context, but also work on the realization of the projects together with Schwankhalle and Theater Bremen. The projects can become site-specific installations, audio-visual performances, medial spaces or all hybrid in-between forms, they will open up sites for a collective socio-political and aesthetic debate. As a starting point, we will delve into the history of urban and architectural utopias from the sixties and seventies — before and after 1968. They have the potential not just to connect spatial with performative practices, through projects developed by Constant (New Babylon), Archigram (Instant City), Ant Farm (Media Burn), Francis Gabe (Self-Cleaning House), Alison and Peter Smithson (House of the Future) etc., they also provide a vision for alternative ways of sharing the city and other collective spaces. The class will take place in English and/or German and is connected to the FÜTURE project. Students from all areas and levels —Fine Arts, Integrated Design, Digital Media, and Music— are invited to contribute. The festival will take place in June 2019. We will develop and realize projects in public space, more precisely, on the route between Schwankhalle and Theater Bremen. These projects might be temporary installations that relate to the urban site or the street. They can become performances, visual interventions, soundscapes or all hybrid in-between forms. Whatever their form will be, the aim is that they open up a space for a collective debate with passersby, neighbors, residents, and visitors. These will be many as our project is part of the Performing Arts Festival OUTNOW! a project by the Schwankhalle and Theater Bremen. Both institutions invited us to contribute, and we will not only research into the urban practices in the context of Bremen, but also compare them to architectural utopias from the sixties and seventies — before and after 1968. 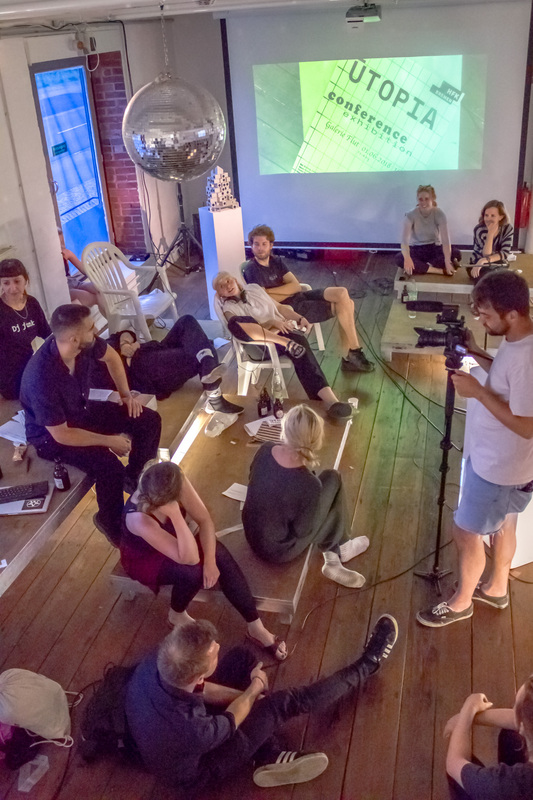 From these utopias we can learn not just how to connect spatial with performative practices, through projects developed by Constant, Archigram and Ant Farm (Media Burn), they also provide a vision for alternative ways of sharing the city and other collective spaces. 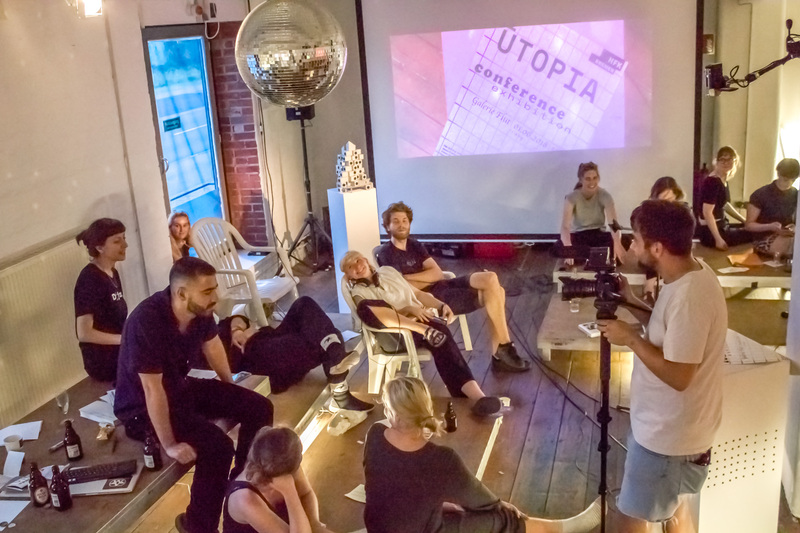 The project will take place in English and/or German and is connected to the FÜTURE seminar, where we will explore utopias not as goal to be realized, but as a critical instrument. With the help of this instrument we can expose the limitations of current discussions on technological, economical, political and social developments. We can also think about alternative futures and other versions of how we share spaces with humans, animals, and plants.